I feel like I've been Lost & Found again! Hi :) I'm still here. I completely lost track of time and didn't realize it had been 5 weeks since my last post. Spring has kept us busy! Family visits & out of town weddings mostly. I'm back and hope to get back into the swing of things here soon. Sweet Thirty is the new Sweet Sixteen! Haven't you heard? Thirty is TOTALLY the new Sixteen! Or maybe I'm just trying to convince myself that I too can have a candy colored personalized license plate :) Hey, if it makes you happy then do it! If not, make this a great gift for a Sweet 16! 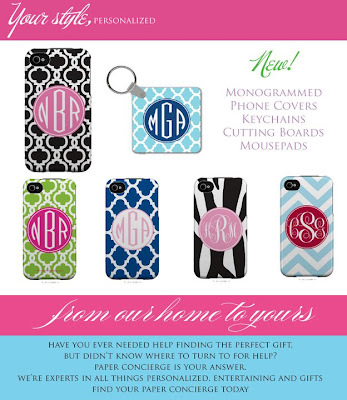 Monograms + Cell Phone Covers!!! Check it out! Pretty cool, can't wait to get myself one! Sorry, couldn't help myself! I still love that song. 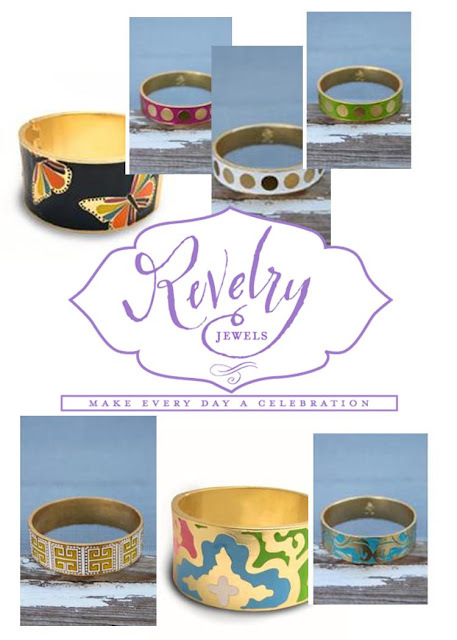 I just ordered this great bangle bracelet HERE, and I can't wait to get it in! Check out some of our other bangle bracelet styles from Revelry Jewels. They are definitely 'in' for the season! Last Friday I had the pleasure of spending a lovely spring day with my Mom & Aunt who were visiting from the colder temps of Ohio. So of course we got out and about around town and did one of our favorite activities - window shopping! I need to do this more often. There are so many local specialty shops that I want to visit. The Buttercup on Providence Rd. - I love the fact that this gift & stationery boutique has been in business for over 35 years! And you tell that they've perfected their service and selection. Need a gift? You can find something for anyone here! 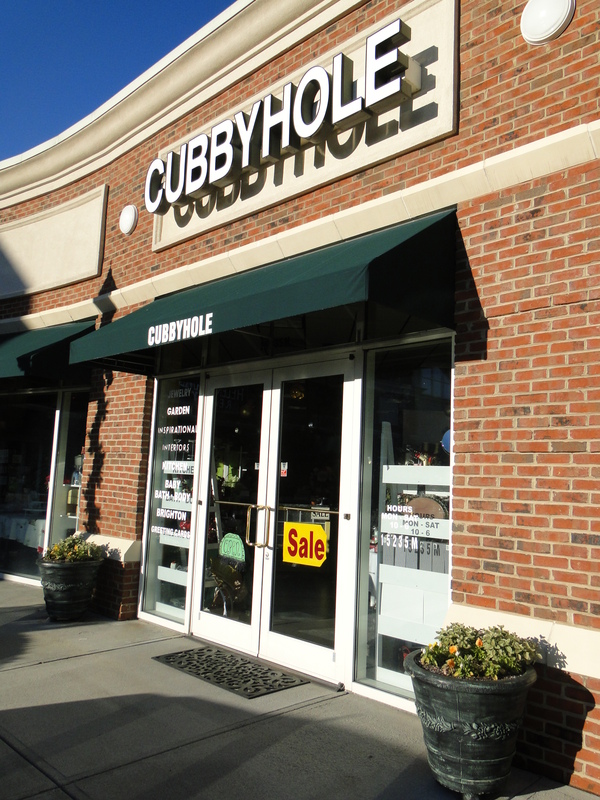 The Cubbyhole in Ballantyne (Harris Teeter shopping center) - as I was browsing this store for ... oh about an hour or so :) ... I realized that the majority of their products are unique to this store. You can find things here that are outside the norm of all the other Charlotte gift shops. 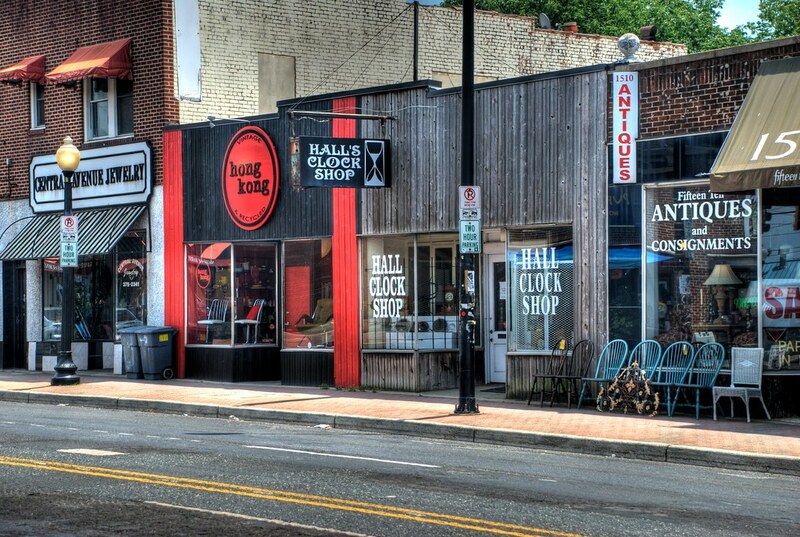 Two women own this store and they've also been in business for 20+ years. Zada Jane's in Plaza Midwood - it was gorgeous out so we had to eat outside at Zada Jane's to get our fillin' of fresh organic eats. Antique Shops in Plaza Midwood - very eclectic and interesting. We didn't buy anything, but a good time was had just poking around. 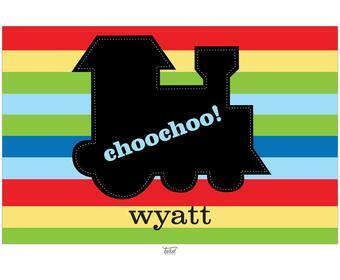 Salutations in Ballantyne Village - I might as well just go ahead and admit it. I'm seething with bitter jealousy at the cuteness of this stationery shop. It's clean, clutter-free, top of the line products in paper & gift, and I always appreciate the window displays. First came the daffodils. Then the cherry blossom trees. The tulips popped over the weekend. 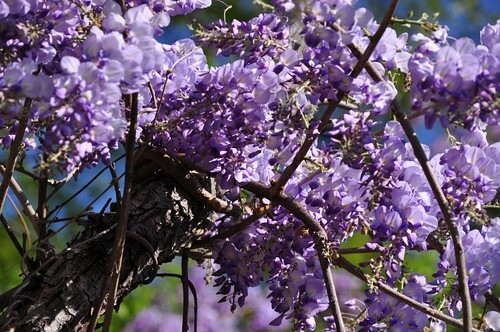 And now I'm enjoying the breathtaking lavender wisteria growing wild through the trees. It's Spring! A quality market tote with personalization for only $14! Can it be true? Yes, it is! I can't wait to take mine to the farmers market when it opens. These will also make great add on gifts, perfect for library trips, school projects, running your weekend errands, gym bags, perfect for teachers ... so many options! 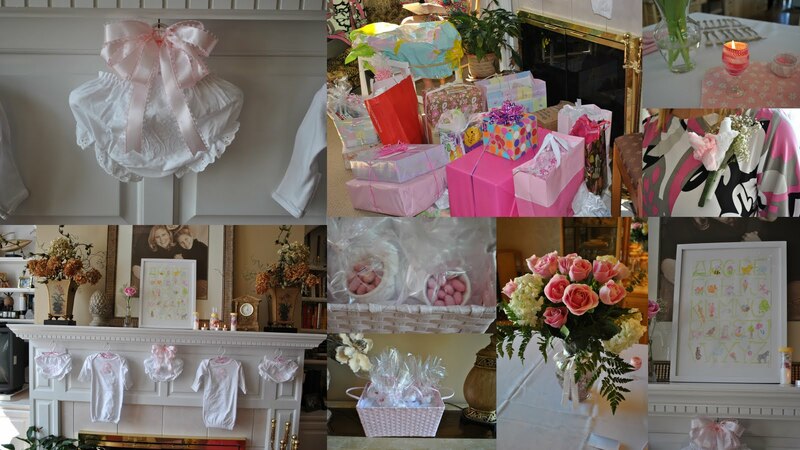 Love the monogrammed embroidery on the bloomers and onsies! What a great way to display a gift as a shower decoration. And that custom ABC painting on the mantel is so precious. Back in February, I was asked by my neighbor to be a guest speaker at her local club Lower Providence Log Cabin. For those of you who know me well, I'm not much of public speaker. But the friendly and welcoming women from LPLC made me feel right at home. Our agenda for this occasion was to talk about the lost art and etiquette of letter writing. It's so great to hear others talk of the importance in this long-time tradition. One woman even shared a very romantic story of love letters that were passed to and from her passed husband when he was in World War II. At the end of our visit, I shared this poem that I found online from another letter-writing blogger. It just seemed so appropriate for the occasion. can't write much now—thinking of you. salutations made by a committee. We're Hiring! Come join the PC team! I've been with PaperConcierge for a year now. It's been such a fun thing to spend my time on - meeting new people, promoting products I love, and getting to know other women who share a passion in paper! Are you looking for a creative outlet? Would you like to work with a company that rewards you with great promotions and sales plan? Would you like to earn yourself cool things like an iPad 2? Ummm .... of your course you do! And that's our current sales incentive. Very cool stuff happening at PaperConcierge right now and its a great time to join the fun! Only 50 days left until the royal wedding of Prince William and Kate Middleton! 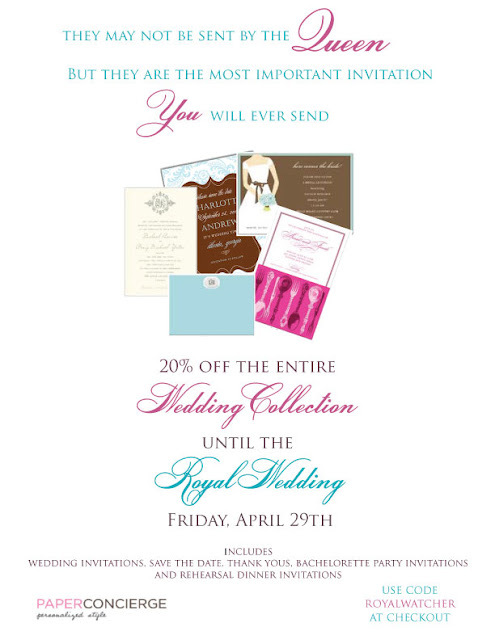 And for the next 50 days, PaperConcierge will be celebrating this event with a Royal Wedding promotion. In the spirit of Mardi Gras, get wild, crazy and colorful today! I especially love this French Quarter Necklace by Revelry Jewels. Have you ever wondered what the hype is with the entire aisle of stamps at the craft store? I used to wonder. But now I understand. For us non-artsy types, its an easy way to get creative and crafty with a little drawing that someone else etched into a stamp. Using special embossing powder with the stamp just takes it to a whole new level. Here's my quick tutorial on embossed stamping. I learned this technique at a PaperSource workshop, which I highly recommend. 1. Press stamp into the watermark stamp pad for a few seconds. Be sure it soaks into the entire stamp. 2. Center stamp on paper and press down firmly for 5 seconds. 3. Sprinkle embossing powder directly on watermark. Don't wait too long between steps 2 and 3, or else your watermark will dry out and won't hold the powder. 4. Shake powder around the area, then tap off excess powder on a separate sheet of paper. Save it because it can be used again on the next one. I always save the powder and it lasts a long time. 5. Turn on embossing gun and hold about 6 inches away from stamped area. Heat the stamp, moving in a circle pattern. Soon you'll see the texture of the stamp change and look shinier. When the entire stamp looks shiny, you are done. Let the page dry. I'm going to brag about myself for a minute here because I'm quite proud at this little accomplishment. Specifically proud of my creative ingenuity and ability to save a buck AND still get an end result that is quite awesome. Look at what I did! I made a very simple pillow cover. I swear I'm never buying $30 pillows again. Just keep your pillow inserts and make pillow covers that you change out with the seasons. I know this one is called "Fall Bouquet", but it's going in my bedroom. It's going to look great with my burnt orange duvet cover. I am going to a 1st birthday party this weekend for my friends little boy Gabe! Since Gabe is growing into such a big 'little' boy, I thought a custom placemat would be a great gift idea for him. 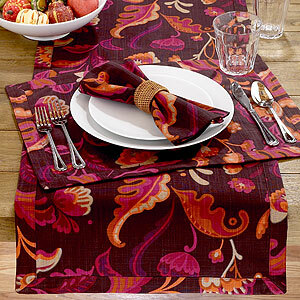 These are perfect for a place setting or keeping the table clean during a messy project when kids get a bit older. And they wipe clean so easily. 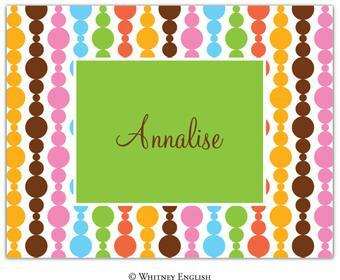 All of the placemats can be ordered with two styles on front and back. Here are the styles I picked out for Gabe (Alphabet and Choo Choo). Good morning! Sorry it's Monday, but what can ya do? Make the most of it I guess. Well at least you know your favorite bloggers will have some great new ideas and posts after being stuck inside in the rain all weekend! I'm a week behind, but I just realized that my desktop calendar is still set for February. I just loved the February print from the RedStamp blog, and I just changed over to the March one. Can't get enough of this blog!! Download your free March download HERE. Spring is here! At least it is in North Carolina anyways. The temps are perking up and we're getting much needed rain showers this weekend. Early spring reminds me of rain and flowers! Get your umbrellas and wellies ready. I'm so jealous that Anthropology didn't offer their wedding collection back when I was a bride. 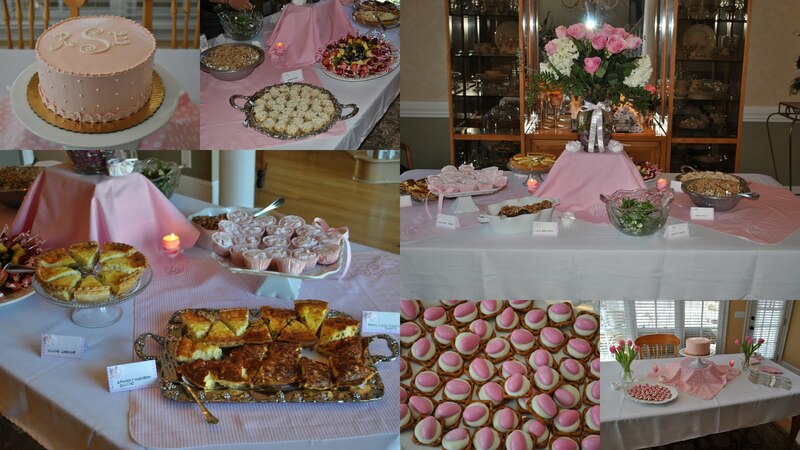 But for those future bride-to-be's ... Congratulations! You will have lots of inspiring looks available from BHLDN. And without further ado, behold BHLDN! Are you a classic or trendy bride? Do you consider yourself a classic bell of the ball or a trend setting fashionista? Maybe you fall somewhere inbetween. In today's world of weddings as 'themed soirees' ... here's a new twist on an old idea ... perhaps classic has become the trend! Ahh ha :) Well you can never go wrong with core classic pieces and a non-themed wedding. You won't get tired of looking at the accesories, decor and lack of one hit wonders. The Whimsy Scroll invitation suite by Plain Jane is a classic piece that you can rely on to set the tone for your classic non-themed yet still very trendy wedding. If you're planning a birthday party this year, please let me be your personal paper assistant and help you select a great invitation and plan out your wording. 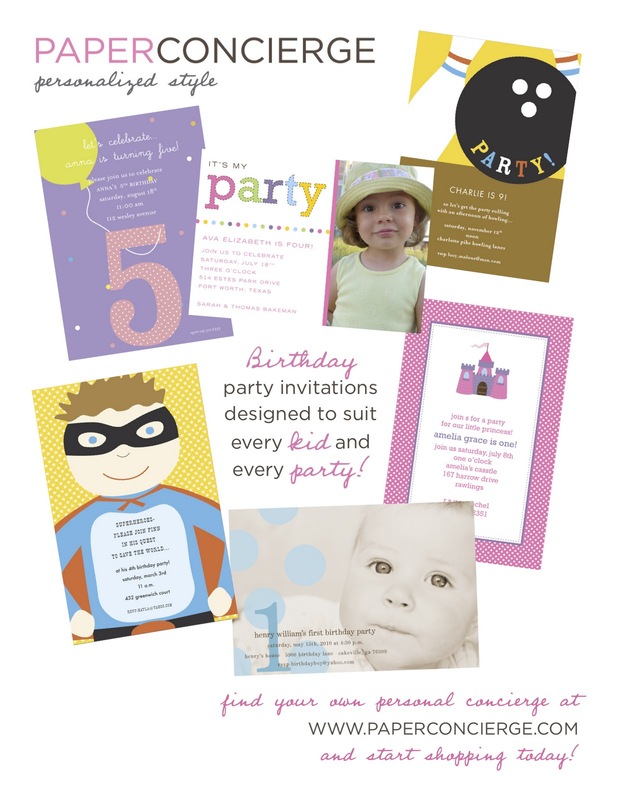 Shop styles in our Birthday Invitations for Kids section.